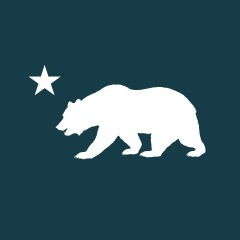 California independence is hard for a lot of people to picture; maybe people can imagine Californians going to the polls to vote on a declaration of independence, but if so, how do we get to that point? And what happens after? California is already moving towards independence through a series of policy changes that move the government decisions that affect Californians’ lives from Washington to Sacramento. Which is what independence is all about. At some point in the future, when we’ve moved enough of that power, California could go on to become a full-fledged country, or simply sit pretty as a powerful, largely self-governing U.S. state. But if Californians want independence, we need to earn it by proving to each other and to the world that everything the federal government handles for us now, we can do better and more ably for ourselves. The good news is, Californians’ elected officials are already mostly moving down this path. 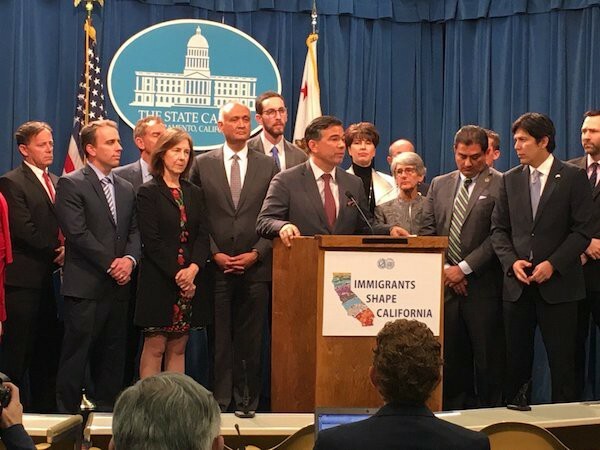 They might call it “resistance” or “California values,” but the fact of the matter is, they’re also bringing California one step closer to full independence. 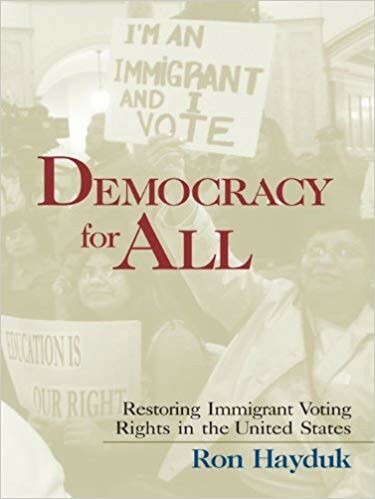 For nearly every one of these strategies, this article points to a law that has already passed and suggests another law or policy change that we could try next. This article closes with one more thing that Californians haven’t really tried at all, but probably should. What is it? Read on to find out. Much of the power the federal government currently holds is not enshrined in the U.S. Constitution; it’s dependent on the cooperation of state and local governments. And California doesn’t have to cooperate. The most famous recent example of this is SB 54, the so-called “sanctuary state” law that severely restricts cooperation between state and local officials and ICE. Deportations still happen in California, but they are much more difficult and expensive without California acting as a partner. Our legislature also considered making California a “sanctuary state” for cannabis with AB 1578, but that bill was pulled in September 2017. One of the most subtle things California is doing to become more independent is to take a federal policy that Californians like, and enshrine it in state law. How does this move California toward independence? By making Californians less dependent on the federal government. Probably the best example is net neutrality. 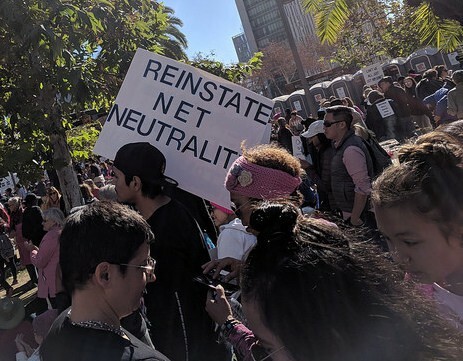 In April 2015, the Federal Communications Commission enacted strong net neutrality protections nationwide, only to repeal them in December 2017. Meanwhile, Congress had failed to pass any law whatsoever on the topic. So in September 2018, California’s governor signed into law SB 822, which mandates net neutrality in California. Other recently passed laws which nail down current federal policy are SB 834(offshore oil drilling) and AB 686 (fair housing rules). If Californians want to be less dependent on the whims of the federal government, we’re going to need our state government to take on more responsibility than it does now. Probably the most important recent example have been a series of bills to move California towards “universal coverage and a unified publicly financed health care system,” which is a fancy way of saying California should have control over all federal dollars spent on healthcare in California, so we can implement our own health care system. Another parallel institution that would make Californians much more independent from the U.S. banking system would be a public bank. California’s likely next governor supports a state public bank to “break Wall Street’s chokehold on state finance.” And the city of L.A. is moving forward with a vote in November 2018 to allow a city public bank. After all, if 775,000 North Dakotans can run a public bank, why can’t 3 million Angelenos? Independence doesn’t count for a whole lot if the federal government can still do harm to individual Californians. 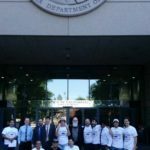 One method California has used to uphold Californians’ due process rights is to provide immigration legal services. When ICE seeks to deport someone from California, their case first goes before an immigration court, but unlike in a criminal cases, there is no right to a court-appointed lawyer, even though losing means being forcibly removed from California (sometimes into mortal danger). So our state government has budgeted millions of dollars to ensure that Californians who do go before an immigration court can get a fair trial. California could have gone even farther. For example, had Governor Brown not vetoed SB 349 in September 2018, it would have been a state crime for ICE agents to arrest immigrants in California courthouses for overstaying their visa. Some might question a state’s right to do this, but it actually rests on a number of court cases going back all the way to common law rulings about civil arrest. Helps to have smart lawyers! Outside of immigration, California could do a lot more to protect Californians. For example, selling recreational cannabis, while fully legal in California, is a serious federal crime. 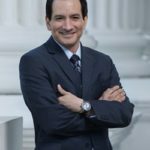 If the federal government does choose to target a cannabis business operating legally in California, there is currently no guarantee that the state government will have their back. Thanks to a series of state laws passed in the last decade, all Californians have nearly identical rights and privileges, regardless of our citizenship or immigration status. For example, AB 60, signed into law in October 2013, makes it possible for all residents to get a driver’s license. Treating all Californians the same makes federal immigration laws much less relevant or powerful than they are in other states — which is good, because federal immigration policy clearly wasn’t designed with Californians’ needs in mind. This might seem like a no-brainer. California’s elected officials are usually practically allergic to the federal government taking away California’s autonomy. It’s not just in court either; when a proposed federal law would preempt state laws, our elected officials speak out against them and band together to ensure they don’t pass. For example, Governor Brown opposed the GROW Act (HR 23) of 2017 because it preempted state water laws, and with the help of California’s U.S. senators, it now appears to be dead in the Senate. However, we do sometimes have to stop the state government from giving away our state’s autonomy. 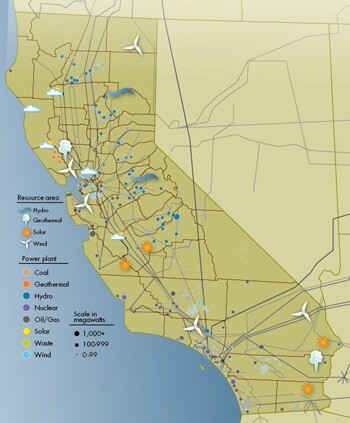 For example, AB 813 would have permanently given away state control of California’s Independent System Operator in a dubious attempt to expand California’s energy market to other states. A number of other state non-profits (including Independent California, but especially TURN) managed to get the bill killed in committee at the end of the 2018 legislative session, but it was a very close thing, and it didn’t help that national non-profits like NRDC and EDF supported the bill. 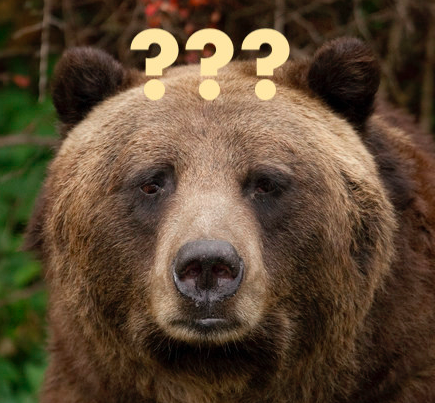 Irony time: the GROW Act was introduced by a California member of Congress, David Valadao. And the driving force behind AB 813? Governor Brown himself. California independence is about more than resisting a hostile federal government; sometimes the biggest barrier to independence is ourselves. 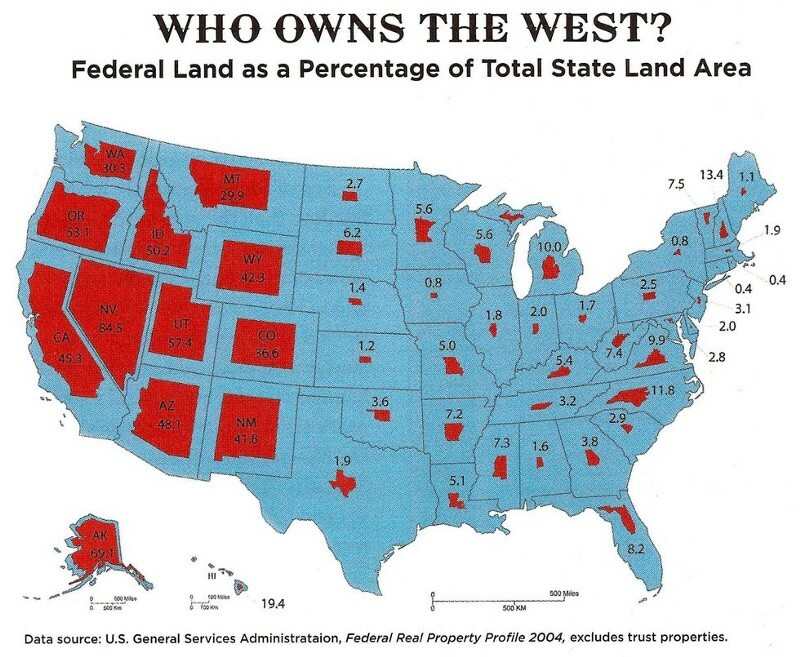 In comparison, no more than 15% of any state outside the Western U.S. is federally owned. And unlike other Western states, California has a huge tax base and could easily manage all the public lands in the state much more capably than the federal government. There is no constitutional barrier to the federal government transferring federal lands in California to our state government; it’s just a real estate transaction. A small step towards California taking more control over federal land was SB 50, signed into law in October 2017, which gives California the right of first refusal whenever the federal government sells land in California — otherwise California won’t record the deed. America is pretty out of step with successful democracies around the world in a number of policy areas (health care, paid family leave, and the metric system, to name a few). One way Californians can show our independence is to stop doing things the “American way” and instead do them a normal way that works, following the example of people in other democracies. For example, the United States and the Philippines are the only countries with a cash bail system dominated by bail bondsmen. Thanks to the passage of SB 10, cash bail will end in California in October 2019. America is also alone or nearly alone in refusing to ratify several international treaties. 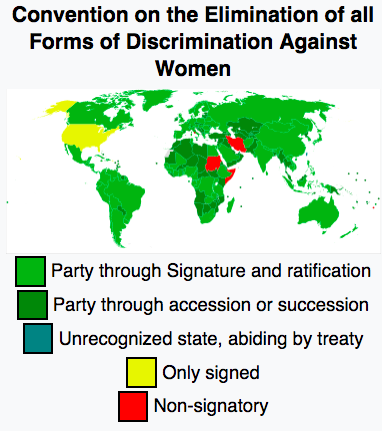 One such treaty is the Convention to Eliminate All Forms of Discrimination Against Women, which the California legislature endorsed in February 2018 through the passage of SCR 78. A logical next step would be for California to actually implement the convention’s provisions — all it requires is publishing a report every four years and sending it to the U.N.
Something that a lot of Californians don’t know is that zoning land for nothing but single-family homes is a weird Americanism too. 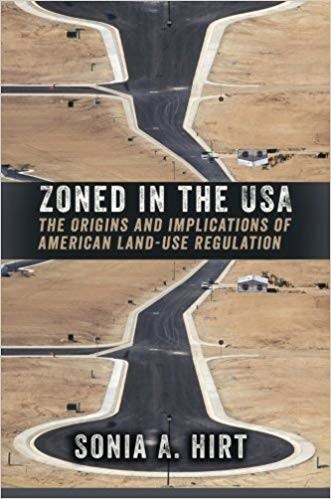 Elsewhere in the world, residential zoning necessarily includes duplexes, corner stores, and so on (to learn more, read Zoned in the U.S.A. by Sonia Hirt). Since Californians suffer from a chronic shortage of housing, this might be one Americanism we can do without. Changing California’s system of government from the American way to something normal that works for democracies is a whole other topic, but most Californians would agree that our state government could work better. Not just because we may need to resist the federal government, but because California is the only democracy we’ve got. One thing Californians can do to improve things is to untie our state government’s hands. For example, in November 2010, California voters passed an initiative, Prop 25, that stopped requiring our legislators to get a 2/3 vote in each house to pass a budget, and instead let them pass budgets by simple majority. California went from being a state where budgets were always late to one with an orderly, on-time budget process. And the Prop 2 Rainy Day Fund, an initiative passed in November 2014, ensures that California won’t have to scramble and borrow money when the next recession hits. The flip side of untying the government’s hands is making sure that Californians get good value for every tax dollar our state government spends. While California may compare favorably to the federal government here (California doesn’t run the world’s most expensive military, or “lose” our tax dollars in other states), there’s still a lot of room for improvement. At the federal level, both major parties have largely abandoned balanced budgets, accountability to taxpayers, and the like. This might be a good time for Californians to pick up some of the tools of fiscal conservatism while no one is looking and wield them for ourselves. In late 2017, Congress rushed through federal tax cuts, simultaneously blowing a massive hole in the federal budget and harming Californian homeowners. Californians are currently debating amongst ourselves whether and how the state and local government can re-capture some of these cuts, to prepare for anticipated cuts in federal spending. 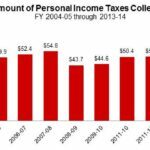 What if California state law made recapturing federal tax cuts automatic? Then Congress could cut taxes all it liked, and Californians would be unaffected. In fact, we’d be better off, since much of our federal taxes go towards subsidizing other states. For example, the federal gas tax goes into the Federal Highway Trust Fund, which is little more than a program to redistribute transportation dollars to small states (yes, the U.S. Senate had something to do with this). In contrast, every dollar of state gas tax is spent in California. 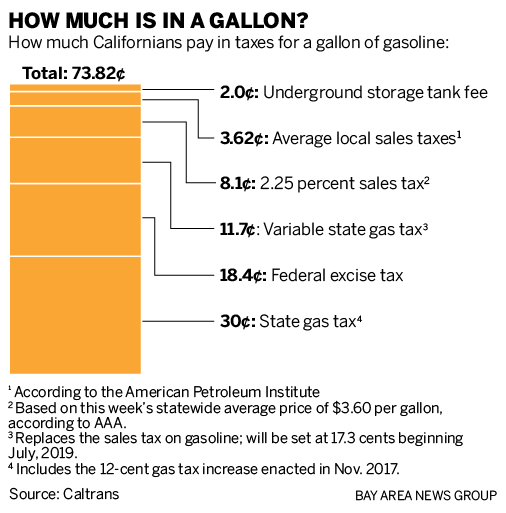 What if Californians rewrote our state law to keep the total state and federal gas tax constant? Then our Congress members could allow the federal gas tax to expire in 2021 without harming California’s roads. In fact, the state legislature already passed a law just like this in 1990. We just need to update it with 2018 tax levels. Surprisingly, this strategy works for income tax too. Essentially, we just need to set state taxes at the total level we think California taxpayers should pay, and then create a state tax credit — for federal taxes paid! Think of it as payback for eliminating the state and local tax deduction. California is adept at suing the federal government when it gets in our way. Whether this is something ingrained in Californians’ character, or simply a natural response to a system of government that dramatically under-represents us, California has a good track record in federal court. One of the things that ought to worry the people who have currently consolidated power in Washington is that when California wins in court, it often results in the federal government losing powers it thought it had. For example, the federal government thought it could use its spending power to punish “sanctuary” cities in California, but courts ruled otherwise. California isn’t really trying to bring down the federal government, but we don’t exactly need it either. And the more the federal government tries to impose unpopular policies on California, the more lawsuits California will file, and the more holes will be poked in federal power. This is only exacerbated by the appointment of so-called “conservative” or “originalist” judges. For example, did the Founding Fathers ever intend for the federal government to be a deportation machine? Probably not! And California might be the one to prove it. There is a way for everyone, Californians and Americans alike, to get what we want, and that’s through carve-outs and waivers. For example, the Clean Air Act has a carve-out that allows California (and no other state) to set our own air quality standards for vehicle emissions. This way, California can tackle the unique air quality challenges of urban areas like L.A., without our standards being imposed across the United States. Another area where federal waivers are common is Medicaid, a federally funded, state-administered health program (in California, we call it Medi-Cal). There’s not really any constitutional barrier to Congress granting California waivers and carve-outs for nearly every policy, or to them returning (ahem, block-granting) Californians’ federal tax dollars to our own state government. The trick is having the negotiating leverage to get those concessions. 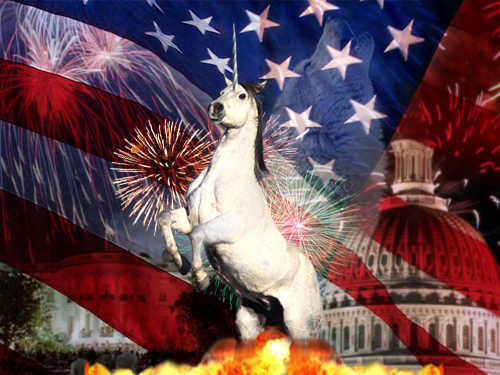 There’s one thing Californians haven’t really tried yet and that’s… an initiative where we declare independence! Nah, just kidding. First, changing California from a state to a country would be a constitutional revision, put on the ballot on the legislature, and second, when Californians did vote on it, it’d be probably on the same ballot as a water bond, and, I don’t know, further changes to the Chiropractic Act. Because this is how California rolls. No, the one thing Californians haven’t really tried is to play hardball in the House of Representatives. 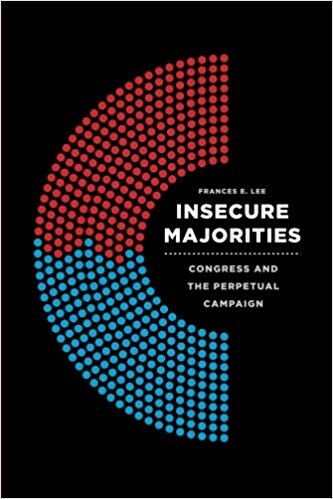 Think about it: the federal system denies Californians meaningful representation in the Senate, and basically shuts us out of the presidential selection process, but we do control nearly an eighth of the seats in the House. We don’t have much power over the federal government, but we do have the power to help shut it down. In a dysfunctional, divided Congress that can barely manage to raise the debt ceiling, this is a lot of power. More self-governance for California is a pretty small ask that has almost zero impact on people in other states (they might lose out on subsidies from California taxpayers, but the federal government borrows so much they’d hardly notice). What Californians need to do is get our Congress members to attach these asks to important pass bills in the House, in exchange for their votes. Let us keep our gas tax money, give us those Medicaid waivers, let us have Yosemite back… and we vote to keep the government open. Or don’t and, whatever, find the votes yourself? And the less dependent Californians are on the federal government, the more leverage we have. Really what we’re talking about is having a California congressional delegation that acts like a delegation, and not just a bunch of individual politicians from opposing parties. This would work best if the delegation coordinated across houses of Congress (senators with House members) as well as with the Governor and other important state officials. It would also mean making decisions at the state level that satisfy enough Californians with differing viewpoints that hardly any California politician sees using the federal government to undermine state decisions as a legitimate strategy — in other words, the hard work of democracy. Can Californians do it? There are a couple of reasons to be hopeful. First, after the November 2018 election, it’s almost certain that an unprecedented four-fifths of California’s Congressional delegation will be from the same party. 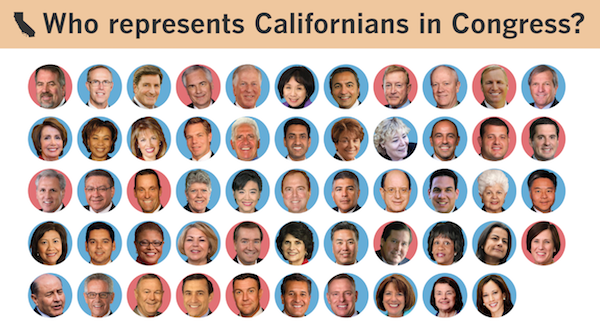 Even if we can’t coordinate a bipartisan California Congressional delegation, we’ll still be able to round up more than 40 votes in the House. Second, no matter which party gains control of the House in 2019, the Speaker (either Nancy Pelosi or Kevin McCarthy) will be almost certainly be from California. 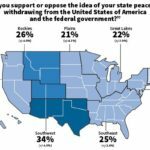 Some of the more smug responses to the push for a California independence referendum following the November 2016 election were something to the effect of, California doesn’t need to secede, because there’s already a better solution: federalism. Is the “California independence” this article talks about really just another kind of federalism? Well, it certainly could be. Again, there’s almost nothing that would stop the federal government from allowing large, country-like states like California and Texas to basically govern ourselves, while continuing to stay deeply involved in states that are too small or too poor to take on the challenge of self-government. But this would be an entirely new approach to federalism, and it would mean Americans would have to tacitly admit that the “great state” of, say, Delaware is not in any meaningful way the same kind of thing as California. California’s push for independence could also lead to old-school federalism, a scaling back of the federal government in general. There might be no national health care policy; Californians might use our tax dollars to fund a fantastic universal health care system, while people in more conservative states would go back to having medical bankruptcies (“economic freedom!”). Or if America’s system of government becomes even more dysfunctional than it is now, California’s hardball tactics could catch on with other large states, leading to a permanent government shutdown, effectively halting the American experiment. Californians could join up with people in other states to create a new system of government, but we could also decide, hey, California’s been through a lot, and we don’t really need to be in a relationship right now. Or America could somehow fix its system of government and exorcise the demons of its past, and Californians could enjoy living in a powerful, effectively run state, in a surprisingly acceptable country. 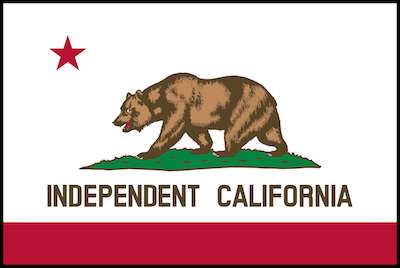 The point is, we don’t know exactly what will happen if Californians push for independence. A lot of how it shakes out it isn’t up to us; it‘ll depend on choices made by American politicians. What we do know is that the status quo is not only unacceptable, it’s unsustainable. It won’t last, and whatever comes next may be even worse. Betting Californians’ future on the future of the United States is a risky decision indeed. Which is why it’s a good thing that California independence is already happening.